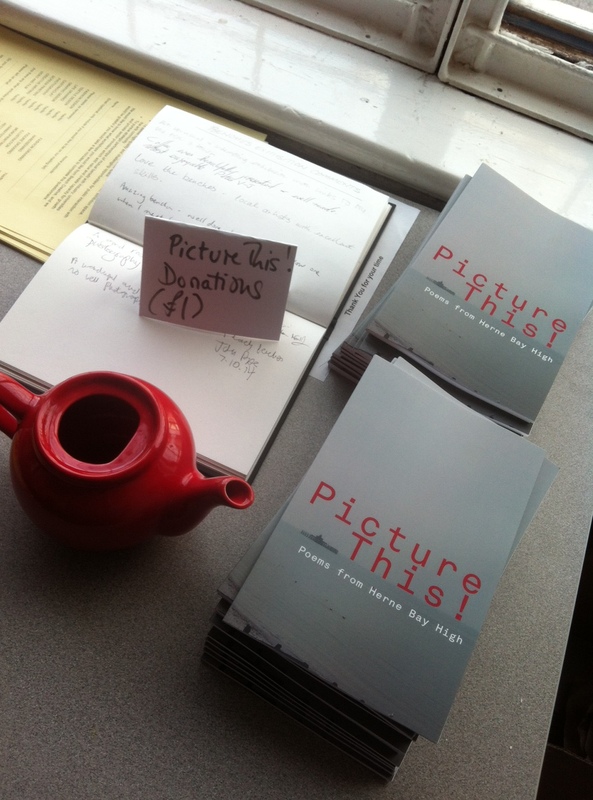 Picture This! is a year-long programme of creative writing workshops for Herne Bay teenagers, made possible by a grant from the Clore Duffield Foundation. 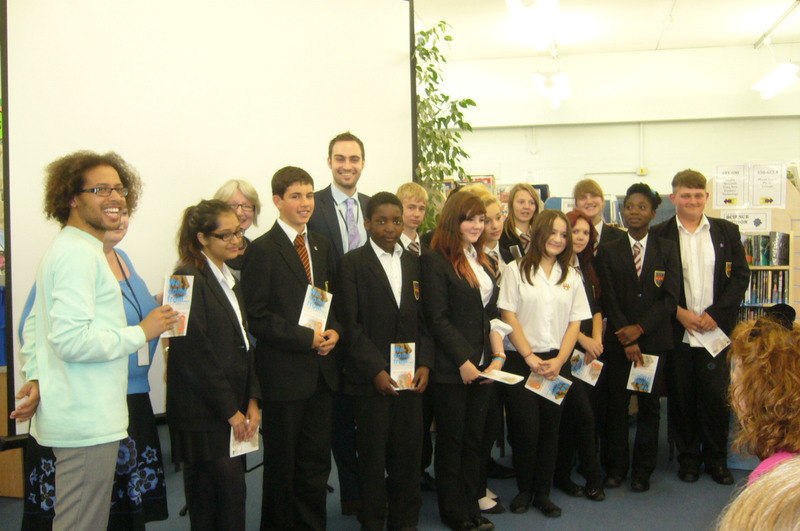 I was involved in part of it – a series of inspiring workshops by poet Dan Simpson at Herne Bay High that resulted in a Categorical Books publication of the poems. One series in particular, inspired by a poem by Sven Stears, had the pupils invent imaginary jobs, to surreal effect. The anthology was launched at an event at Beach Creative in Herne Bay where Dan performed poems from his new book Applied Mathematics. The book’s cover photograph and design are by Nancy Wilson. Pupils at St Michael’s RC Primary School in Medway geared up for the World Cup by publishing a newspaper about Brazil and … football! I worked with all the Year 4 classes, divided into five teams, to write about carnival, rain forests, Rio’s tourist sites, top teams and top players. Our newspaper was published just before the first kick-off and I don’t think anyone will have been too upset by England’s dismal performance as most pupils seemed to support Nigeria, Germany, Ghana, USA, Argentina or Brazil. I was lucky to get a preview of the new British Museum World Conservation and Exhibitions Centre as part of my role as editor on a book about the project published by the architects. It’s an amazing building that stitches together new and old, in particular through facades clad in Portland stone pocked with the marks of fossils and frosted glass panels etched with the outline of parts of the Jurassic Coast. But what you may not appreciate from the street is that 68% of the building – housing storage as well as the sensitive equipment needed to explore and restore the museum’s collections – is underground. 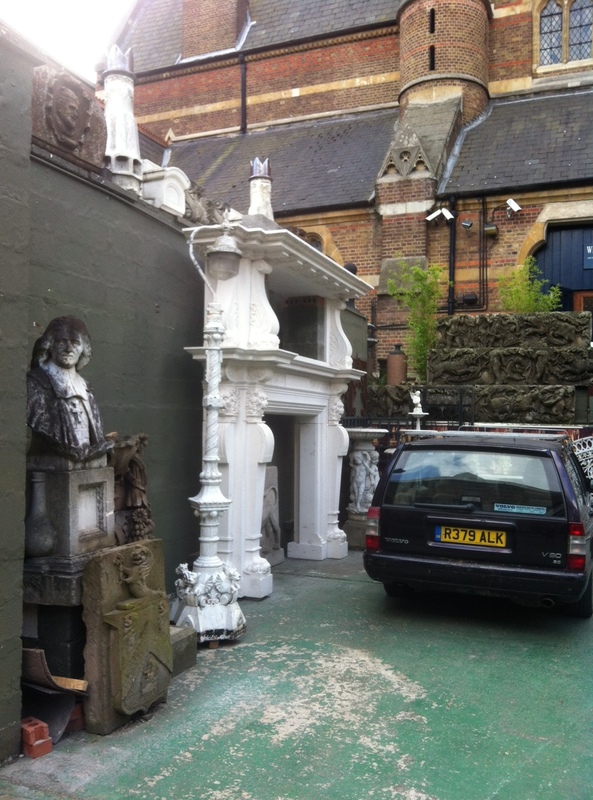 If you are passing through Bloomsbury, watch out for the truck lift, which transports lorry-loads of items seven stories below ground and rises up again to ground level with surreal effect. Over the past few months I have visited 30 out of the 52 schools in the Deal and Dover district! In each school I have talked to pupils about their hobbies, ambitions, aspirations – in short, their passions – and then encouraged them to write articles about them to be published in a newspaper. We produced three newspapers, with ten schools in each. The young people wrote about becoming gymnasts, athletes or footballers, lawyers, scientists or writers, vets, engineers or palaeontologists. They were justifiably proud of seeing their names in print and of passing their passion on to inspire their readers. 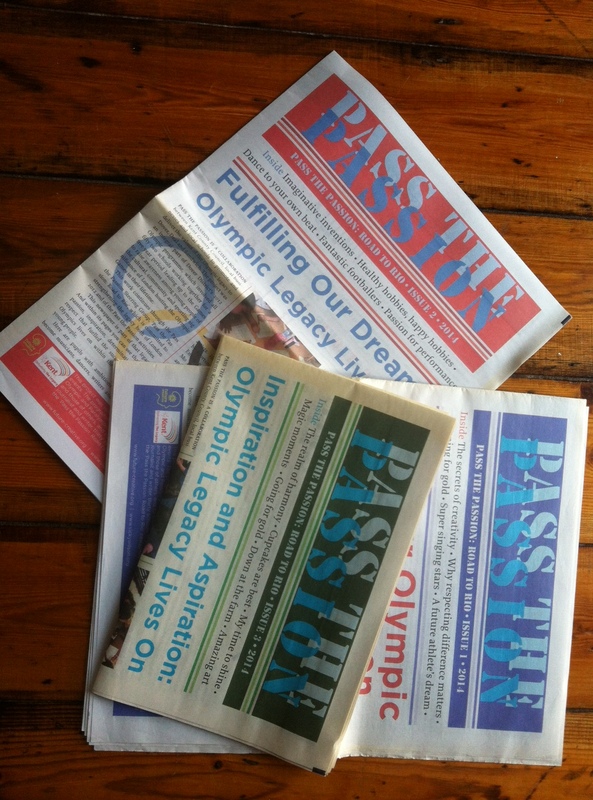 The project was part of the Olympic legacy programme, Pass the Passion: Road to Rio. 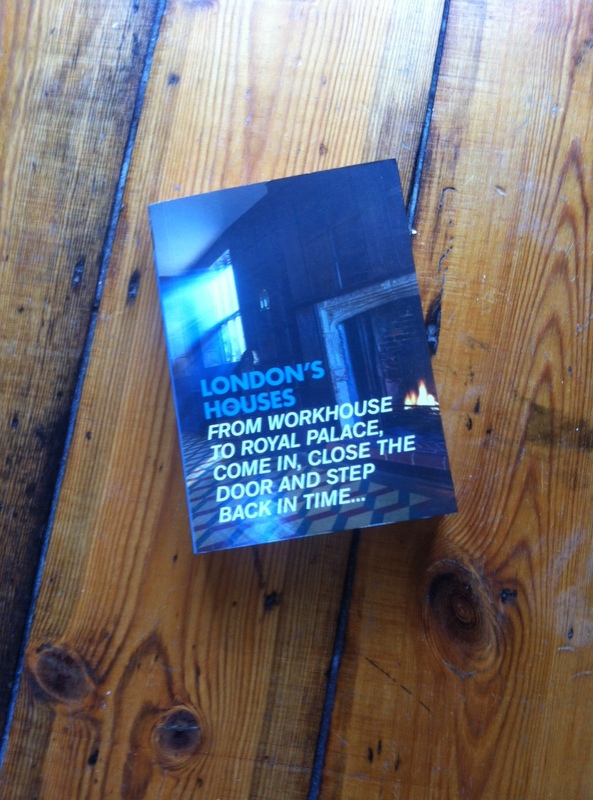 It was great to see the Sensing Spaces exhibition after spending several months working on the catalogue. I feel as if most of my time for the past weeks has been spent listening to hours of tapes of conversations between the curator, Kate Goodwin, and the architects (Kengo Kuma, Grafton Architects, Li Xiaodong, Pezo von Ellrichshausen, Diébédo Francis Kéré, Eduardo Souto de Moura and Alvaro Siza) and trying to then make them make sense to a reader – as well as all the general editing, caption writing, and other things that go into making a publication. Having seen the exhibition and the fabulous finished catalogue, designed by Isabel Duarte and Simon Esterson of Esterson Associates, I can say it was all worthwhile. A really brave step by the Royal Academy and hopefully – given its appeal to a younger audience – the harbinger of more major architecture exhibitions in the future. 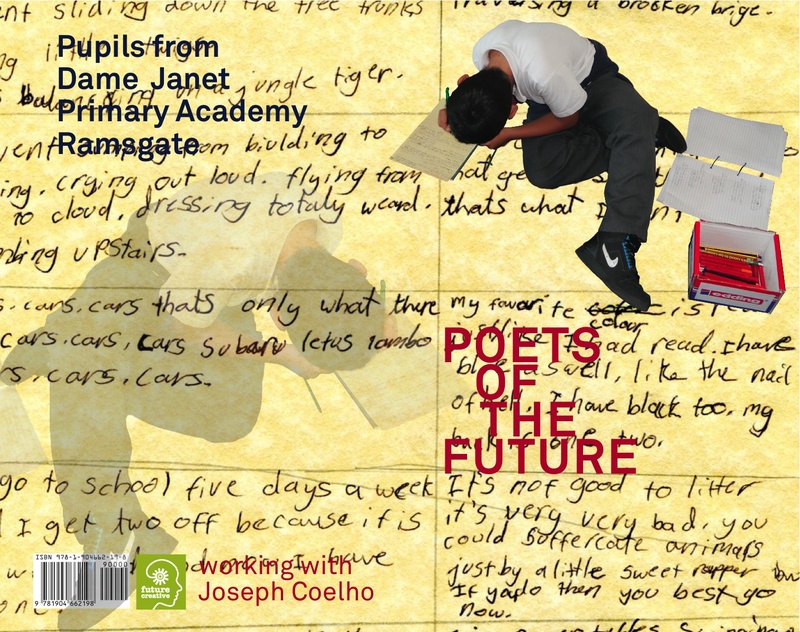 This is a book of poetry produced from poems and stories that poet Joseph Coelho had helped a group of Year 5s produce in a school in Ramsgate. The project was organised by Future Creative. 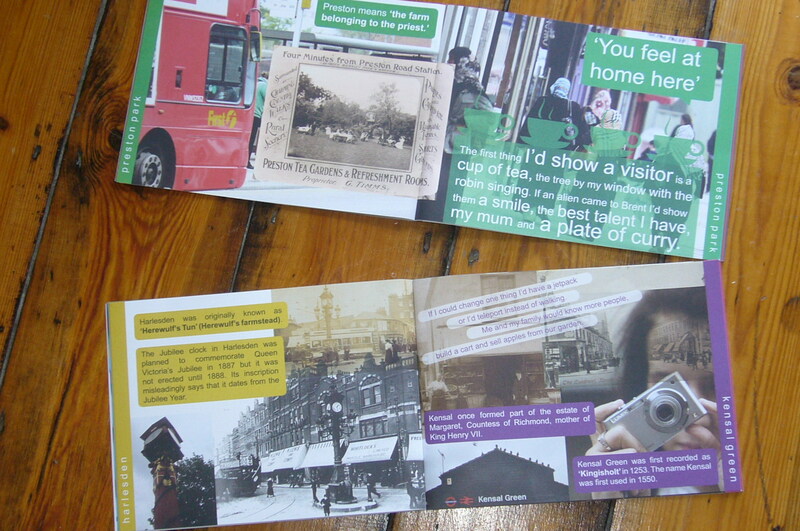 Categorical Books put the book together from the writing and illustrations the children produced. An excellent use of pupil premium! This was a wonderful project organised by Future Creative in Minterne Community Junior School in Sittingbourne. 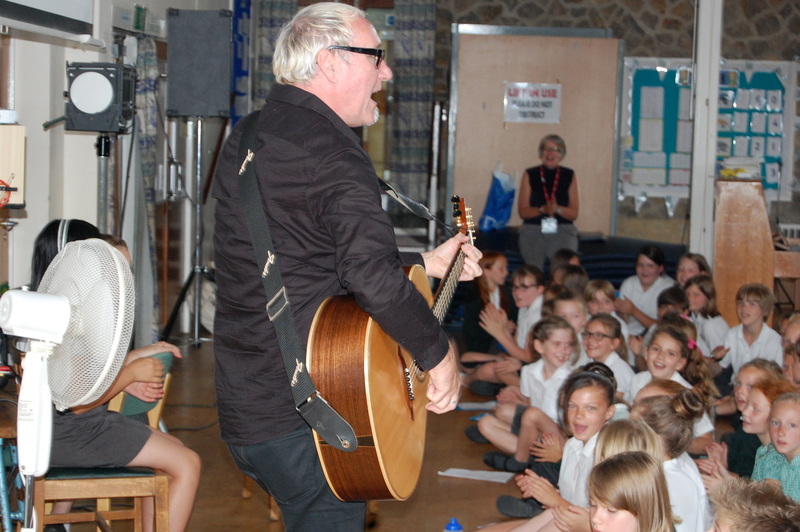 Musician Dennis Greaves of blues band Nine Below Zero and I worked in all twelve classes – I went in first and encouraged the children to write poems on the themes of memory and identity and then Dennis followed and helped them transform the poems into lyrics and set them to music. 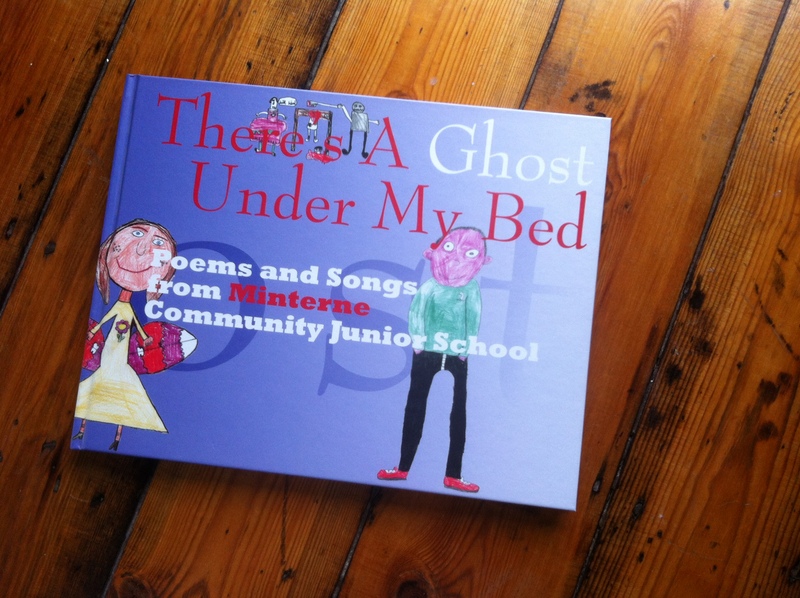 At the end we produced a book of poems and illustrations and a CD of the songs, called There’s a Ghost Under My Bed. It was really interesting for both Dennis and I to observe each other’s creative process and to think about the difference between what makes a good poem and what makes a good song. The most successful poems for me were with a Year 4 class where we did cut up poetry – I gave the children an A4 page of words to do with the sea and they rearranged them as they wished. This was a project at Pent Valley Technology College for a transition summer school for Year 6s due to start the school in September. I spent a day with the group finding out their interests and encouraging each of the pupils to write a review, news story, commentary or other article – the topics covered included games, cars, fashion, animal facts, football and more. We then produced a newspaper which was given out to prospective Y6s at open day as well as to the pupils who had contributed. It is amazing how much the pupils achieved in such a short time and we were all proud of their efforts. Thanks to Future Creative for their support! 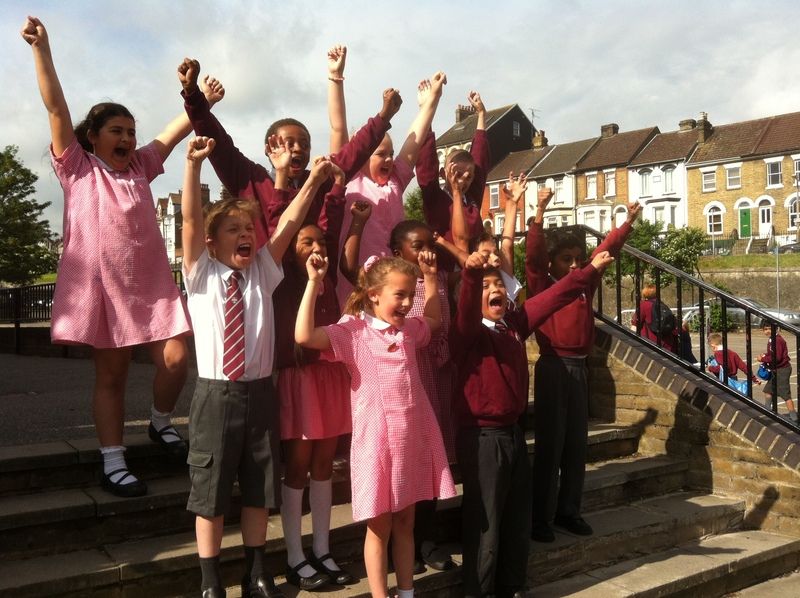 Pupils from Bromstone Primary School in Broadstairs have just published their first newspaper. The title is Manston Past & Present and the paper contains an interview with staff from Manston Airport about their new link up with Dutch airline KLM, an interview with WW2 bomber pilot Gerry Abrahams, interviews with pupils about their view on WW2, interviews with parents about their experiences of airports, stories about holiday dreams and disasters and much more. For the project I worked with ten pupils from Y6 and film-maker Richard Fleury of Skeletope, and as well as the newspaper we produced a film. You can see the film by clicking here. Organised by Future Creative, the project was great fun, as well as producing noticeable improvements in the pupils’ work as they prepare for secondary school. 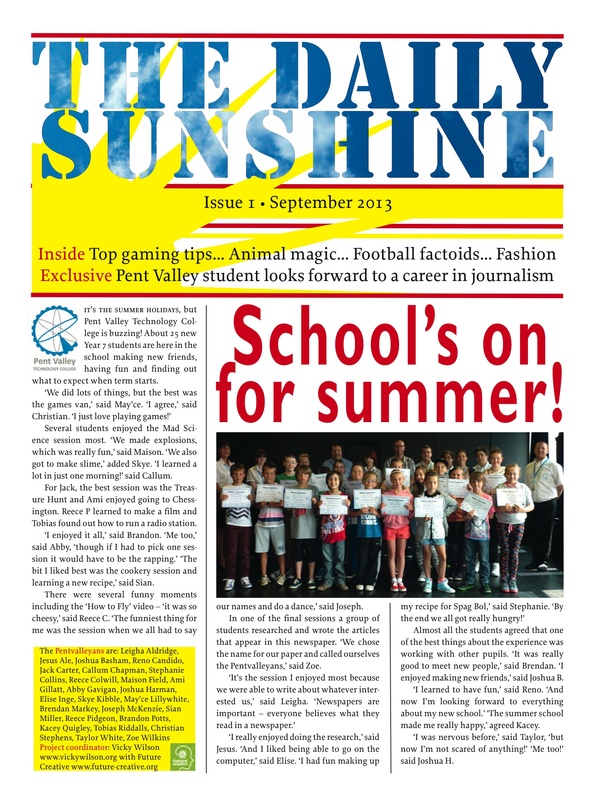 Headmaster Nigel Utton tweeted ‘Fantastic, loved the newspaper. So professional. Best ever use of pupil premium’ – and I’m inclined to agree. The Ursuline Preparatory School in Brentwood has just published a new book! 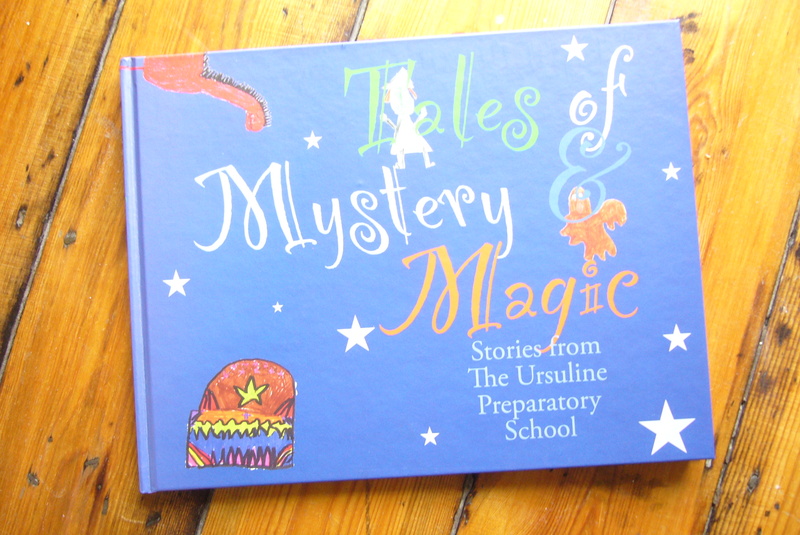 Called Tales of Mystery & Magic, it contains a story from each of the school’s nine classes (ranging from pre-Reception to Year 6) about an adventure that travels through space or time. Whether the subject is training for the Olympics in Ancient Greece, acting as skivvies for the school’s Victorian owners, playing an X-box game that gets out of hand or taking a magic bicycle ride with a talking owl, the stories tell of the children’s imaginations and skill as well as their exciting adventures. The project began when English Coordinator Sarah Macdonald tracked me down through internet searches after seeing the book I helped produce for Sunnymede School. You can read a bit about that project here or see the book by clicking here. For Ursuline, I delivered a half-day workshop to each class to inspire pupils and staff and provide tips on how to coordinate the writing process for a whole-class story. This included writing by adding to a blog, voting on a subject and then all contributing to it, writing individual sections of the story in groups and using drama and role-play to create a tale. 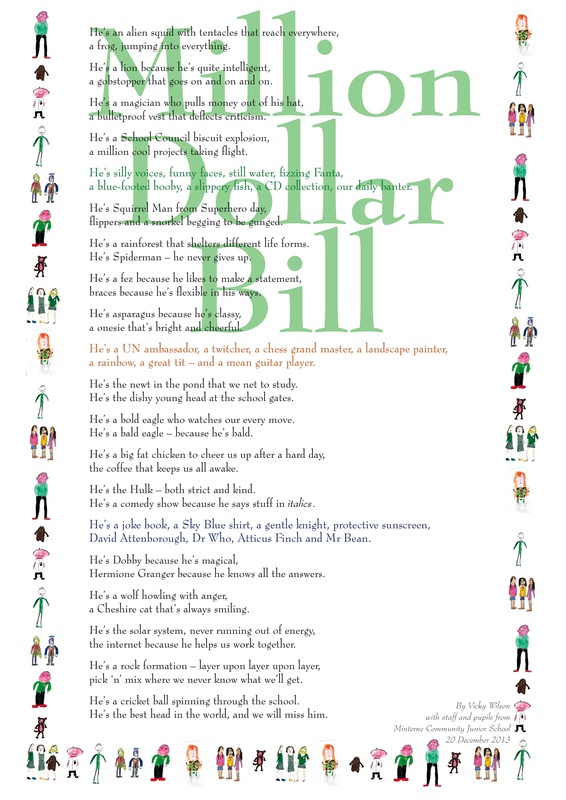 As well as their writing, I also suggested that pupils each contribute at least one illustration. You can imagine my excitement when six weeks later a box containing the stories and artwork arrived on my doorstep! The book was edited and designed by Categorical Books following rough layouts supplied by each class and copies were printed in time for Book Week at the beginning of March. We even scored a whole page in the local newspaper – you can see pictures here. The project was so successful that I am hoping to offer the process as an opportunity to other schools – watch this space or get in touch for details. 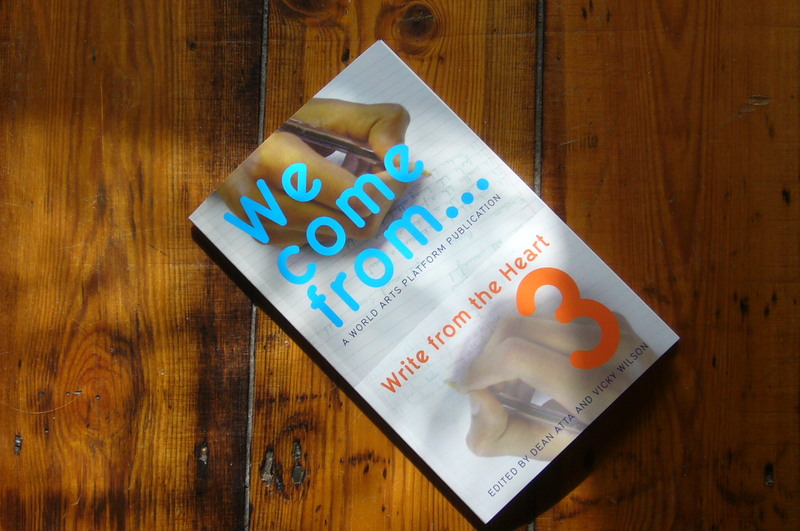 This is a small book full of wonderful writing. It’s part of a project called Writer Squads run by New Writing South, which places writers with groups of young people aged 13 to 17 to inspire and help develop their writing. 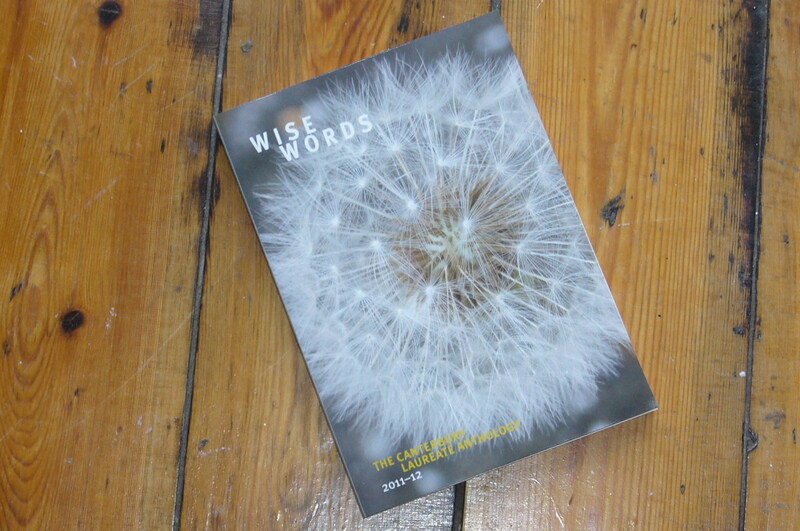 The book documents the results of Dean Atta‘s project with the Margate Writer Squad and features poetry and stories by Maddie Raven, Samuel Williams, Anna Harvey and Sofie Llugiqi. The writing is fresh and original and it is obvious that the young people, inspired by Dean, have polished their work so there’s not a word out of place. 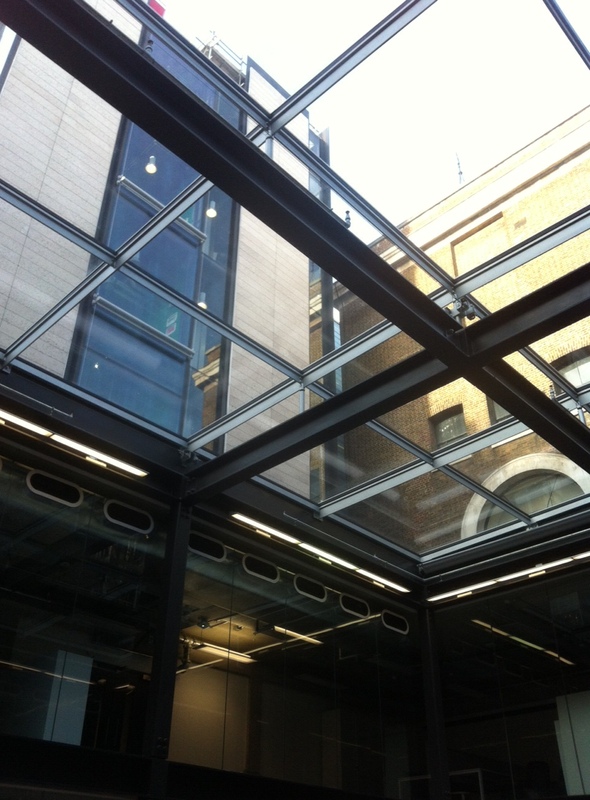 Categorical Books is very proud to have played a small part in the project’s development. The book is not for sale as the print run was minute, but hopefully the contents might help the young people and the project to find a wider audience. Karaoke Poetry is about to be published for the first time! The first three poems are now available for public consumption in Unexplored Territory, edited by Maria C. McCarthy and published by Kent publisher Cultured Llama. 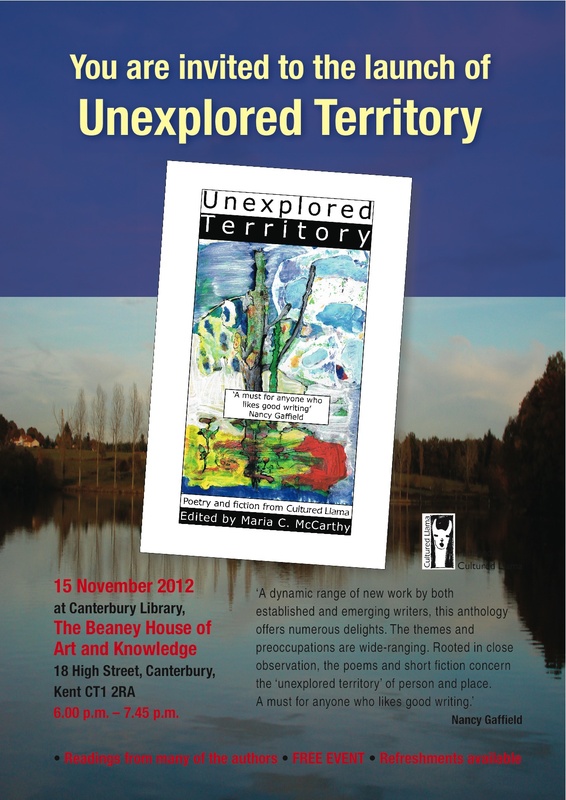 The launch event is at the Beaney, 18 High Street, Canterbury CT1 2RA, Thursday 15 November, 6pm to 7.45pm. All welcome, so please join us. Or if you can’t come along, the book is available from Amazon. 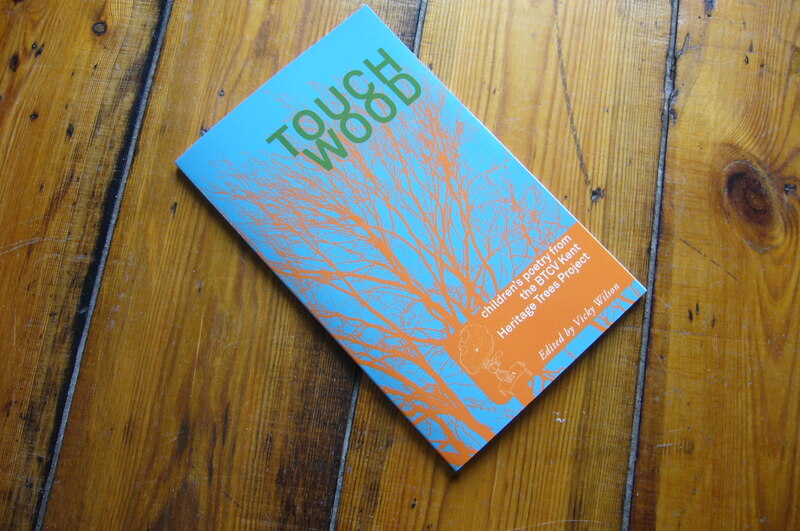 Copies of Touch Wood: children’s poetry from the Kent Heritage Trees Project have arrived! The project began with a series of workshops to support The Conservations Volunteers’ project to map and preserve Kent’s old, large or interesting trees at Reculver CE Primary School, Whitstable Junior School and Great Chart Primary school. The idea was to stimulate the children to write poems that explored the myths associated with trees and woodland and raise awareness of their importance. This was combined with an open call for submissions that went out to Kent primary schools and visitors to The Conservation Volunteers’ Singleton Environment Centre. It was then a question of selecting which poems to include in the book. The poems and illustrations produced by the children showed a high level of craft, imagination and observation, as well as a commitment to preserving our woodlands. No matter what kind of exercises or source material I use with children I find myself constantly surprised by the sophistication and invention of the work they produce. You can buy Touch Wood from Amazon.